This blog will follow Art's experiences as he walks across America on The Walk of Life. You can share your support for him or talk about your dedications to your loved ones that you have lost or are fighting some illness. Please leave comments and words of encouragement! a day of adventures!! !...made 24 miles even with 45,240 steps...findings for the day: 2 dimes, 1 rather bent penny, 1 quarter, 1 blue (yuck!!!) super ball AND a "Stiffy" (red triangular flag on the end of a fiberglass pole used on dune buggies)...we managed (to the chagrin of my driver!!!) to go through two constructions zones AND all the way through Billings...this was DEFINITELY out of her comfort zone, HOWEVER she did a fine job!! !...thanks Mom!! !...still having some electrical issues with the Jeep powering the safety light and blowing fuses, where are Mike 'n the mechanics from Family Auto in Bountiful, Utah when I could REALLY use them!?!?! ?...good weather today, high 70's with clear skies...now watching Thursday football awaiting my pizza!! !...pick it up again tomorrow on Old Highway 87 on the way to Hardin, MT and beyond...cheers!!! today we got 22.7 miles with 42,790 steps and a couple of large trash bags of roadside litter...booty for the day: two pennies, two bungee cords, one pair of sunglasses, one decent sized box of 15 amp fuses, one poker chip, one flat screwdriver, one "C" hook and one bicycle multi-tool...the day started with my attempt to get a breakfast sandwich to go at a restaurant in Roundup, that got a wee bit complicated (like outta the box folks!!!) so I dropped by the Pioneer Cafe, nice chat with Dave who is retired army AND and a VERY tasty breakfast sandwich, THEY know how to think out side the box, YUM!! !...I still have yet to find a decent cup of coffee in this state, Starbucks anyone!?!?! ?...well off to the starting point and guess what! ?, someone forgot to bring the radios!! !...the safety light is now working BUT no radios!! !...oh well life is all about being flexible so we managed to move from spot to spot with me waving a white trash bag and other moves...so at the end of the day we got to honor (again) all those whose names are in the medicine bag since THAT is what this excursion is all about...people who are alive and well, people who are in the throws of battling disease of some sort and people who have moved on to the next great adventure...oh as a parting shot at current events, let's replace the replacement refs!! !, they "try" hard but they ARE outta their league...see ya'll down the road...CHEERS!!! today we got in 21.1 miles with 38,896 steps, found one penny and one quarter, two bungee cords and a couple of reflectors for Mom's driveway marker, oh yes and one hitch pin...always wonder about those hitch pins, never seen a wreck yet so maybe they are not REALLY necessary!! !...I scheduled a stop in Billings on Monday afternoon to get an engine seal replaced, it will be nice to drive without oil splashing all over...found a small article in the Lewistown newspaper about the walk...I'm not gonna lie it is nice to see ones picture in the paper in a section OTHER than the police blotter!! !...got to Roundup and plotted the strategy for me to walk while mother attends a local church meeting, I will unfortunately miss the first set of football games BUT will be able to watch the afternoon games and the evening offering...a special thanks to the couple in the white pickup who stopped to make a donation to the cause, this cash will go to the diabetic camp, thanks guys!! !...there was the beginnings of a wildfire outside of Roundup, with the wind today it will be interesting to see what happens to it overnight...I did get a new American flag and walked with it today which generated more then one honk from passing motorists...yes indeed I AM proud to be an American!!!...cheers!!! Friday we got 23.3 miles with 45,949 steps...items found, two useful bungee cords, one hitch pin clip and a pink cell phone...that stretch of road is a little cleaner as I decided to start picking up trash along the way, I bought one of those "grabbers" and started picking, not a good idea to give a guy with serious "OCD's" a grabber, an empty trash bag and say "go pick stuff up",ahhhhhhhhhhhhhhhhhhhhhhhhhh!! !...so what did I do, filled up one grocery bag with crushed cans and bottles and vowed to get a bigger bag tomorrow!! !...weather is fine, gentle breeze, clear skies, bordering on hot...saw several deer and a couple of pronghorn antelope, not as much road-kill on this stretch of road...I did start the day out breaking in new shoes, old ones are down to their last few days so I have nine brand new pairs that have to get broken in...tomorrow will see us get to Roundup and prepare to move Sunday...cheers!!! today we stopped RIGHT at the door-step of the motor home with 24.1 miles(38.8710 km's) under 45,139 steps ending at the Little Montana Truck Stop in Grass Range, MT...a VERY special thanks to Paula and Andy for the comped meal, you ARE very kind!! !...picked up one dime and one quarter in loose change and a dog collar(no dog)...since we are in missile country there must have been an alert or practice of some sort as there were military vehicles of all sorts running from place to place, three helicopters as well, all with guns bared!!! what a way to celebrate International Day of Peace...I guess those who have no value for family, friends, freedom or human life never got the memo so THEY continue to attempt to destroy our way of life, it is one thing to disagee, quite another to actively seek to destroy!?!?! ?...for what , in the name of god!?!?! ?...gimme a break AND do NOT get me started...America, take note, WE respect the sovereignty of nations and DO NOT COLONIZE!! !...hmmmmmmmmm looks like a wee bit of self examination is in order...OK so much for the soap box!! !...today, Thursday, was spent with my driver taking of with her new found friends and me running errands in Lewistown, laundry done, fly swatter bought, hat for Mom bought, green slime for Mom bought, picked up new shoes DONE!! !, power outlet for Jeep rigged thanks to Chris at O'Reilly Auto Parts, forgot the apple sauce and cottage cheese and unable to find replacement bottles for the soap dispenser (am I the ONLY on the planet who has broken one!?!?!? )...also got to stop and chat with few service people who are out here protecting the missiles, a nice bunch of kids with Sargent White riding herd, God Bless the service people, as long as there are people who seek to destroy I am glad I have these guys & girls watching MY back, now the politicians that is ANOTHER story, both sides of the isle feeding at the public trough, perhaps our elected SERVANTS might be willing to take a pay and benefit cut to let it trickle down to the common folk (US!!!) I doubt it until we get term limitations we will have NOTHING but money grubbing, power hungry,bottom feeding scum in Washington, I for one will voice my opinion this November and seek out those who are willing to create and seek positive bi-partisan solutions to tough issues...there now that I have said my piece, thanks to all for your interest and support in this excursion...cheers!!! I guess I better make this quick as internet access is rather spotty...Tuesday, September 11, 2012 first walking day back after a WONDERFUL trip to England and Ireland...since the "troops" are of focus on this excursion, from BOTH sides of the border, I will say GOD BLESS THEM ALL!! !...I for one am grateful for the freedoms that I enjoy and certainly grateful for the sacrifices they have made for those freedoms, I WILL take ANY politician to task, the troops I support 100%, bless 'em ALL!! !...Tuesday saw 20.1 miles with 37,647 steps, Wednesday saw, 20.3 miles with 38,021 steps and today (Thursday the 13th) saw 21.3 miles with 39,894 steps, I must say it is good to be back walking...Tuesday saw us go through Ft Benton which sits on the banks of the Missouri River, very rich in history (for the wild west)...I found an old Ram golf ball, older than dirt, I am sure someone must have tossed it out the window...Wednesday saw me go through Geraldine, MT (where we have the motor home parked) and then on to Square Butte, thanks to Amy the proprietor of the local water hole for a cup of coffee and good wishes...among other things the kindness, friendliness and good naturedness of the local people is very refreshing, be it Square Butte, MT, Pincher Creek, AB or Christina Lake, BC local folks are always so nice, perhaps us urban dwellers have something to learn...just the golf ball found Tuesday, Wednesday found a traffic cone (no markings and away off in the ditch) a slow moving triangle, a hitch pin clip and a quarter...Thursday found a bungee cord and a red warning flag alone with a rather beat up penny...some minor issues, put a new battery in the Jeep and had the warning light switch burn up (so much for the advice "put in a larger fuse"!!! )...weather is good for walking, brisk in the am with a tail wind later on...Friday found me sleeping in after forgetting to set the alarm, a great deal of smoke in the air from fires somewhere...today will take us on route 81 through Coffee Creek and beyond...it is good to be back on the trail...more posts will follow as we find better access...cheers!!! well here we are in Ireland...stopped in London for a couple of days and then Liverpool for a long day...a short flight and here we are in Cork...soooooooooo much history here!! !...people very friendly, weather very iffy and today we shall see if the golf game is there!! !...historical sights all over the place, after 2000 years plus there certainly is something man-made to see...so far my favorite has been the Cavern where the Beatles got their start,WOW!! !...we happened to hit Liverpool as a huge musib festival was in progress as well as a "football" match...I shall have some photos posted as soon as I figure out how to get them to the web-master...cheers!!! walking day #48, Saturday, August 18, 2012...1000 miles!!! well we did it!! !, 1000 miles!! !...ONE THOUSAND MILES!! !...I am impressed!! !...as reference point that would be equivalent to Washington, DC to Miami, Seattle to San Luis Obispo (north of LA) or Fargo, ND to Dallas, TX...today I got 21.5 miles with 41,698 steps and stopped at mile post 9 on Montana route 223 just north of Ft Benton, a nice breeze kept the bugs at bay and not a cloud in the sky...several miles into the walk I stopped at a truck that had broken down and had a rather pleasant conversation with a group of Hutterites as they awaited some repairs, we had a few laughs and generally chatted, I would really like to have another conversation with the elder of the group as I thought he was especially funny and seemed to really enjoy life, perhaps it was because I reminded me a bit of my own father, a bright smile, hearty laugh and a quick wit!! !...very hot as the day went on and the water went down like water!! !...a twenty minute nap energized me for the final push, the goal for the day was 21 miles or mile post 9 whichever was farther, poor Mom never knows when I will stop!! !...right as I was descending a long grade and about the time I was shouting about the 1000 mile mark, my Hutterite brother, in the truck I passed earlier in the day, came screaming by with a load of hay cubes and leaned on the horn!!!...WOW!! !...if he ever gets to read this I offer a hearty THANK YOU for adding to the celebration out there on that desolate stretch of road...I do believe this will be a place that I will return to at some point in the future...even though this excursion is to celebrate life today there was an overwhelming feeling and realization of the fragility and randomness of life, along with the beauty and wonder of life comes some significant pain and suffering...Carla, my heart goes out to you and Jeff my hat is off to you, may you both find peace and resolution in the chaos that has beset you and your little family, BLESS YOU...Vic and Pam, I wish I could say something wise and comforting, Mom I admire your resilience, optimism and infinite patience...my WONDERFUL children, Staci, Joey, Jonny (who inspired this excursion so many years ago), Stef, Jay and Jake seize EACH and every moment of your lives, I love you!! !...Richard and Spaff wherever you are...Fred, keep that boat afloat and may you have many more eight-ball breaks!! !...Barbara, Art C, Gerrard and all the rest "in he bag" whether "here" or "there"...perhaps it is time for this walker to dig a wee bit deeper to examine further the words that I SPEAK as I walk and focus on their meaning to translate the words into TOTAL action, DON'T TELL ME SHOW ME!! !...someone told me one time "results don't lie"...soooooooooooo in summary: for the week we did 122 miles even (196.7742 km's), 234,023 steps...for the trek: 1002.5 miles (1616.9355 km's) and 1,887,660 steps over a period of eleven weeks, now a 2 1/2 break to see another part of the world and then head out for the next 3/4 of the adventure...thank you all for your support, however you give it, best wishes to all and I shall see ya'll down the road...cheers!!! walking day #46, Thursday, August 16, 2012...thank God for dogs!!! well, Well, WELL!! !...today we broke the 30 mile mark!! !...30.9 miles with 58,350 steps, for my Canadian fan base that is 49.8387 km's...we went from Dunkirk to just west of Chester, tomorrow we make a serious south turn to see if we can beat winter weather...weather today was great for walking, started out a wee bit on the cool side, with a gentle breeze (to keep the bugs away), warmed up a bit in the afternoon but not oppressive...the booty for the day: 1 quarter, 1 penny AND a coin from Bruce just outside of Galata, thank you, Bruce, YOU were a gift to me today AND thank God for your dog!! !...thank you for dropping some rocks into the pond that is MY life!! !...keep doing what you are doing, DON'T mess with success!! !...the coin will take its place in the bag until such time as it will go to the right and perfect person under the right and perfect situation...tomorrow we move the motor home to Chester and pick up the walk again, we wanted to get as much walking in as possible before the "all star break" when mom goes bad to Castlegar to weed her garden and I head to the Emerald Isle with some friends...we will pick things up again on September 4th, 5th or 6th, mom I am sure will get bored and will start dreaming "time to move on up!!! "...as Spaff would say "thanks, gotta go"...cheers!!! Ross wherever you are may you be at peace...today 22.4 miles with using 44,151 steps in weather of approximately 100 degrees (ouch!!! )...booty for the day: Robin Hambley's medical card, Simon Nickol's gas card, set of keys, set of Ford keys, 1 Stearns personal floatation device and Tom's dopp kit with his kids Legoland driver licenses and his ticket stubs from Las Vegas Speedway...also found 2 quarters, 1 nickel and 7 pennies...ended the day at the bustling community of Dunkirk, Montana...Wednesday was a day off to let the new blisters ease a bit and run errands, buy a ladder to clean bugs off the motor home, the Verizon store to get the cell phone fixed, Sean you are a STUD!! 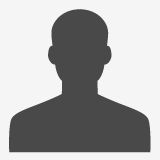 !, one of the few people I have experienced in the cell phone business that was honest and knowledgeable, thank you SIR for solving my problem and getting me connected to the outside world, ya done good!!! walking day #43, Saturday, August 11, 2012...nothin' like a good tail wind!!! 28.3 miles (45.6452 km's) with 53,063 steps...gotta love a good stiff tail wind and overcast cool skies...booty for the day: 1 pair of Craftsman pliers (workable)...for the week 86.6 miles using 158,354 steps...a special shout out to the rancher and his two children who stopped early in the day to drop off a few dollars for the cause, nice guy, I trust his children were watching closely...a special thanks to Jerry Swenson for his good wishes AND generous contribution...a couple of pleasant conversations with a couple of public servants from the border patrol and a pair of Hutterite farmers...nice conversation with the family from Jacksonville, Florida...so for trek-to-date we have: 880.5 miles with 1,653,587 steps...tomorrow will be a trip back to Raymond to visit sister Roxy and her family and then back o Shelby to continue the walk from a point eleven miles out off Cut Bank...the day should take us to Ethridge...hopefully we will pass the 1,000 mile make before the Ireland break on the 20th...we shall see...cheers!!! hot, Hot, HOT!! 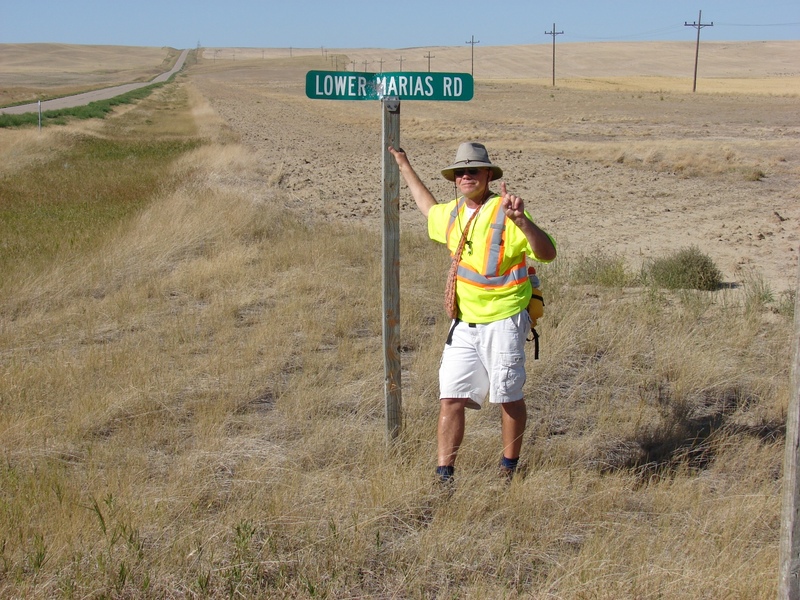 !...August in southern Alberta...today saw 23.3 miles (37.5807 km's) with 39,680 AND I crossed into The United States of America...the Canadian leg is complete (as far as walking)...Friday will have to be a moving day...no great insights today...cheers!!! after two well deserved days off we went back at it again today...very hot but with a breeze and a high cloud haze...23.8 miles with 45,125 steps...booty for the day: 1 1" "C" clamp, 1 toonie, 1 quarter, 2 dimes and 4 pennies...a special thanks out to Daryl from Del Bonita for the 3 gallons of gas and the use of the restroom, kindness of strangers...flat country out here, a very sharp contrast to the last two months in BC, a harbinger for the next 603 miles across Montana...no great words of wisdom today, just mother nature and the third prairie level...cheers!! !